2016 Yamaha RS Vector LE, CALL FOR BEST DEAL!!!! 2016 Yamaha RS Vector LE The perfect trail inspired snowmobile maybe better. 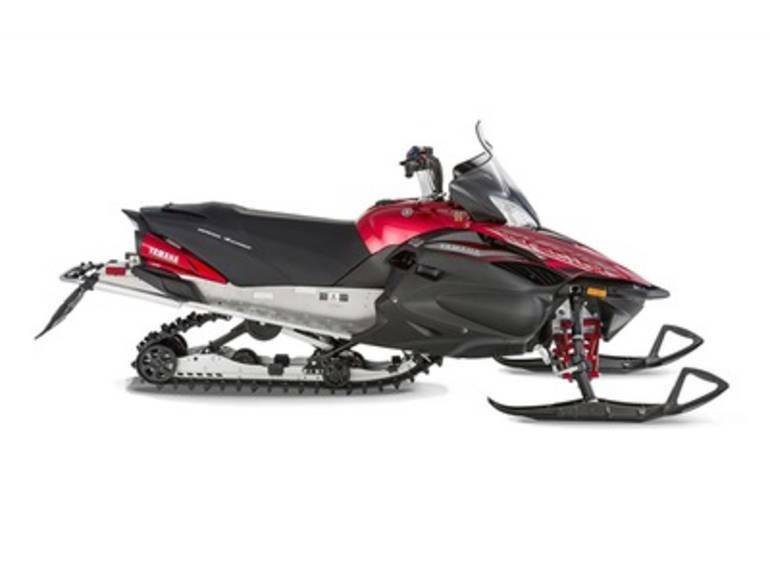 Features may include: NEW Yamaha Chip Controlled Throttle (YCCT) Our new electronically controlled throttle system delivers a new level of performance, control and efficiency. The fully electronic system senses throttle input and electronically controls the throttle valve resulting in smooth, predictable performance specifically tuned for each model. The system serves up three user-selectable performance modes; S (Sport) Mode for maximum performance; T (Touring) Mode for smooth low and mid-range response and improved fuel efficiency; and E (Entry) Mode for predictable acceleration, reduced top speed and optimum fuel economy. NEW FOX FLOAT 3 XV Rear Shock The new FOX FLOAT 3 XV shock introduces new air-spring technology with a secondary Xtra Volume chamber designed specifically to eliminate unwanted harsh bottoming. The added volume of the twin chamber design delivers exceptional ride and handling over rough terrain. Both the primary and secondary XV air-spring chambers are infinitely adjustable for both rider preference and conditions. NEW Performance Damper New and exclusive Yamaha technology, the Performance Damper is designed for exceptional overall chassis performance by harnessing unwanted chassis vibration and distortion. Mounted directly to the chassis at the front and rear of the machine, the Performance Damper captures unwanted chassis energy resulting in exceptional control and comfort with remarkable high-speed stability and tracking through rutted and chatter bump filled corners. FOX FLOAT 3 Front Shocks The latest generation air shock from FOX® features an infinitely adjustable, no tool required, air spring. By changing the air pressure in the main chamber with the included pump, the FLOAT® is the most progressive, adjustable, and lightweight air shock available. A relocated air valve enhances access, and calibration changes deliver exceptional bump compliance and control. All Yamaha pictures are kind of Yamaha HD motorcycles picture was taken, including motor fuel gauge, engine, engine mounts, tires, fuel tank, the car handles, lights and so on, 2016 Yamaha RS Vector LE full-screen viewing,2016 Yamaha Motorcycles today Price: $12,399 .